The WilsonPro 4000R receives approval from the FCC and is now available for purchase. ST GEORGE, UT, September 27, 2016 – WilsonPro announced today that its newest, most-powerful booster for businesses has been FCC approved and is now available for purchase. 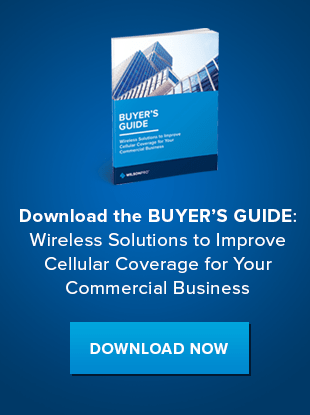 Designed to provide enhanced in-building cellular coverage for all commercial spaces, including hospitals, hotels, warehouses and offices, the WilsonPro 4000R amplifies weak cell signals to provide reliable voice and data coverage – including 4G LTE – to inside spaces where signals may not penetrate. Adjustable uplink and downlink gain controls on each band make it easy to customize the cell phone booster for any specific signal environment. The WilsonPro 4000R booster is the first solution specifically targeting the enterprise IT professional. The rack-mounted, easy-to-manage booster becomes an essential part of a company’s overall communications infrastructure. The 4000R is the first to have four amplification ports, each dynamically adjusting to maximize enhanced cellular coverage and providing cell coverage for up to 100,000 square feet of indoor space. This ground-breaking, intelligent multiport capability eliminates previous industry limitations that reduced boosters to smaller-size venues. The extended dynamic range, or XDR technology, built within the 4000R makes it possible for the booster to adjust its signal gain as necessary, all while still providing stable connectivity. Like all WilsonPro cellular signal boosters, the WilsonPro 4000R features cell site protections that auto-detect and prevent any cell tower interference. Wilson Electronics quality and an industry-leading three-year warranty make the 4000R a clear choice for the professional technology integrator. The 4000R is available for purchase through WilsonPro distributors and dealers. For more information visit wilsonpro.com, or view a video walk-through of the product here. Wilson Electronics, LLC, home of WilsonPro, weBoost, and zBoost, is a leader in wireless communications infrastructure, dedicated to delivering connectivity to every corner of peoples’ lives. The company has designed and manufactured cell phone signal boosters, antennas and related components for more than 20 years. Each booster is designed to significantly improve cellular coverage in homes, workplaces or vehicles. All Wilson Electronics products are designed, assembled and tested in the U.S.A. For more information, visit www.wilsonpro.com.